It started with a simple idea–that bar and restaurant owners should be able to use the TV screens they already own to promote what they want to promote. And, they should be able to keep live TV on as well. So a simple, but "never been done before, is this even possible?" idea. Using proprietary overlay technology, the company that grew out of that idea, TopCast, lets bar and restaurant owners–really anyone with a captive audience and a screen–run pop up ads, games and other information over live TV, right on their exiting screens. As a partner from the beginning, Small Mammal was engaged to help turn a napkin sketch of an idea into a living, breathing company. 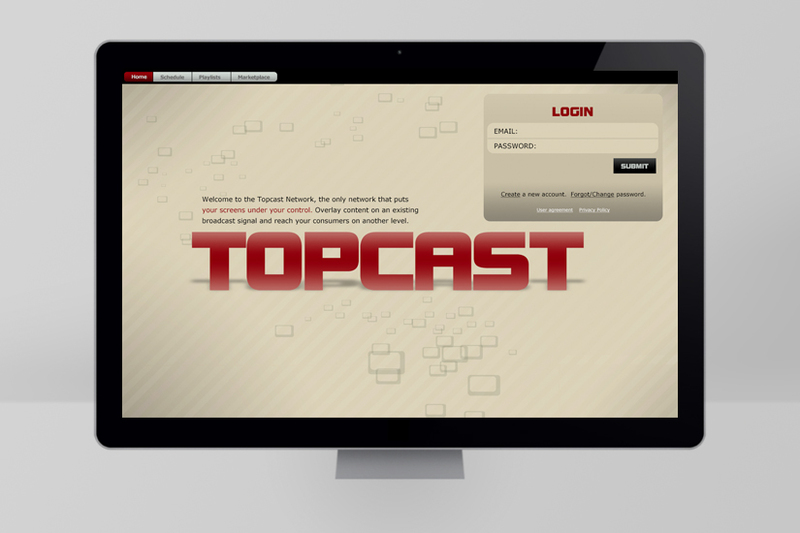 From naming and branding to app design and architecture through interface design and launch, we helped TopCast be the newest way for owners to entertain, engage and inform patrons. From sketch to startup to successful launch, TopCast can be seen in bars, restaurants, car dealers and medical offices up and down the east coast.